In May, 2015, after 18 years Tripura became the first State to repeal the controversial Armed Forces Special Powers Act. But what was/is this Act? And what makes it so controversial?For The Sake Of Argument. presents for you its Armed Forces Special Powers (Assam- Manipur) Act Overview Series in two parts detailing the Act, its objectives and criticisms. Section 1: This section states the name of the Act and the areas to which it extends (Assam, Manipur, Meghalaya, Nagaland, Tripura, Arunachal Pradesh and Mizoram). Section 2: This section sets out the definition of the Act, but leaves much un-defined. Under part (a) in the 1972 version, the armed forces were defined as "the military and Air Force of the Union so operating". In the 1958 version of the Act the definition was of the "military forces and the air forces operating as land forces". Section 2(b) defines a "disturbed area" as any area declared as such under Clause 3 (see discussion below). Section 2(c) states that all other words not defined in the AFSPA have the meanings assigned to them in the Army Act of 1950. Section 3: This section defines "disturbed area" by stating how an area can be declared disturbed. It grants the power to declare an area disturbed to the Central Government and the Governor of the State, but does not describe the circumstances under which the authority would be justified in making such a declaration. Rather, the AFSPA only requires that such authority be "of the opinion that whole or parts of the area are in a dangerous or disturbed condition such that the use of the Armed Forces in aid of civil powers is necessary." The vagueness of this definition was challenged in IndrajitBarua v. State of Assam case. The court decided that the lack of precision to the definition of a disturbed area was not an issue because the government and people of India understand its meaning. However, since the declaration depends on the satisfaction of the Government official, the declaration that an area is disturbed is not subject to judicial review. So in practice, it is only the government's understanding which classifies an area as disturbed. There is no mechanism for the people to challenge this opinion. Strangely, there are acts which define the term more concretely. In the Disturbed Areas (Special Courts) Act, 1976, an area may be declared disturbed when "a State Government is satisfied that (i) there was, or (ii) there is, in any area within a State extensive disturbance of the public peace and tranquility, by reason of differences or disputes between members of different religions, racial, language, or regional groups or castes or communities, it may ... declare such area to be a disturbed area." The lack of precision in the definition of a disturbed area under the AFSPA demonstrates that the government is not interested in putting safeguards on its application of the AFSPA. Section 4: This section sets out the powers granted to the military stationed in a disturbed area. These powers are granted to the commissioned officer, warrant officer, or non-commissioned officer, only a jawan (private) does not have these powers. The Section allows the armed forces personnel to use force for a variety of reasons. The army can shoot to kill, under the powers of section 4(a), for the commission or suspicion of the commission of the following offenses: acting in contravention of any law or order for the time being in force in the disturbed area prohibiting the assembly of five or more persons, carrying weapons, or carrying anything which is capable of being used as a fire-arm or ammunition. To justify the invocation of this provision, the officer need only be "of the opinion that it is necessary to do so for the maintenance of public order" and only give "such due warning as he may consider necessary". The army can destroy property under section 4(b) if it is an arms dump, a fortified position or shelter from where armed attacks are made or are suspected of being made, if the structure is used as a training camp, or as a hide-out by armed gangs or absconders. The army can arrest anyone without a warrant under section 4(c) who has committed, is suspected of having committed or of being about to commit, a cognisable offense and use any amount of force "necessary to effect the arrest". Under section 4(d), the army can enter and search without a warrant to make an arrest or to recover any property, arms, ammunition or explosives which are believed to be unlawfully kept on the premises. This section also allows the use of force necessary for the search. Section 5: This section states that after the military has arrested someone under the AFSPA, they must hand that person over to the nearest police station with the "least possible delay". There is no definition in the act of what constitutes the least possible delay. Some case-law has established that 4 to 5 days is too long. But since this provision has been interpreted as depending on the specifics circumstances of each case, there is no precise amount of time after which the section is violated. The holding of the arrested person, without review by a magistrate, constitutes arbitrary detention. Section 6: This section establishes that no legal proceeding can be brought against any member of the armed forces acting under the AFSPA, without the permission of the Central Government. This section leaves the victims of the armed forces abuses without a remedy. The Armed Forces Special Powers Act contravenes both Indian and International law standards. This was exemplified when India presented its second periodic report to the United Nations Human Rights Committee in 1991. Members of the UNHRC asked numerous questions about the validity of the AFSPA, questioning how the AFSPA could be deemed constitutional under Indian law and how it could be justified in light of Article 4 of the ICCPR. There are several cases pending before the Indian Supreme Court which challenge the constitutionality of the AFSPA. Some of these cases have been pending for over nine years. Since the Delhi High Court found the AFSPA to be constitutional in the case of IndrajitBarua and the Gauhati High court found this decision to be binding in People's Union for Democratic Rights, the only judicial way to repeal the act is for the Supreme Court to declare the AFSPA unconstitutional. It is extremely surprising that the Delhi High Court found the AFSPA constitutional given the wording and application of the AFSPA. The AFSPA is unconstitutional and should be repealed by the judiciary or the legislature to end army rule in the North East. Violation of Article 21 - Right to life: Under section 4(a) of the AFSPA, which grants armed forces personnel the power to shoot to kill, the constitutional right to life is violated. This law is not fair, just or reasonable because it allows the armed forces to use an excessive amount of force. · Protection against arrest and detention - Article 22: In its application, the AFSPA does lead to arbitrary detention. If the AFSPA were defended on the grounds that it is a preventive detention law, it would still violate Article 22 of the Constitution. Preventive detention laws can allow the detention of the arrested person for up to three months. Under 22(4) any detention longer than three months must be reviewed by an Advisory Board. Moreover, under 22(5) the person must be told the grounds of their arrest. Under section 4(c) of the AFSPA a person can be arrested by the armed forces without a warrant and on the mere suspicion that they are going to commit an offence. The armed forces are not obliged to communicate the grounds for the arrest. There is also no advisory board in place to review arrests made under the AFSPA. Since the arrest is without a warrant it violates the preventive detention sections of article 22. · The CrPC establishes the procedure police officers are to follow for arrests, searches and seizures, a procedure which the army and other para- military are not trained to follow. The Act contravenes the above. · The AFSPA grants state of emergency powers without declaring an emergency as prescribed in the Constitution. The measures taken by the military outweigh the situation in the North East, notably the power to shoot to kill. The offences are not clearly defined, since all of the Section 4 offences are judged subjectively by the military personnel. And the AFSPA is a "special jurisdiction" provision. The Supreme Court has avoided a Constitutional review for over 9 years, the amount of time the principal case has been pending. The Court is not displaying any judicial activism on this Act. The LokSabha in the 1958 debate acknowledged that if the AFSPA were unconstitutional, it would be for the Supreme Court to determine. The deference of the Delhi High Court to the legislature in the Indrajit case also demonstrates a lack of judicial independence. 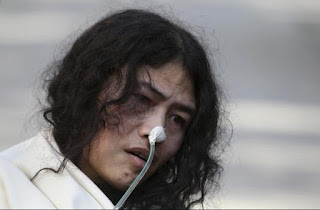 Irom Sharmila, who is still protesting against the AFSPA for 14 years. "The power of judicial review is vital for the protection of the rule of law." He also quoted from Mr L M Singhvi's 1985 report that "the strength of legal institutions is a form of insurance for the rule of law and for the observance of human rights and fundamental freedoms and for preventing the denial and miscarriage of justice." 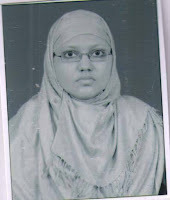 Sanya Darakhshan Kishwar is a third year BSc.LLB. student from Central University of South Bihar, Gaya. 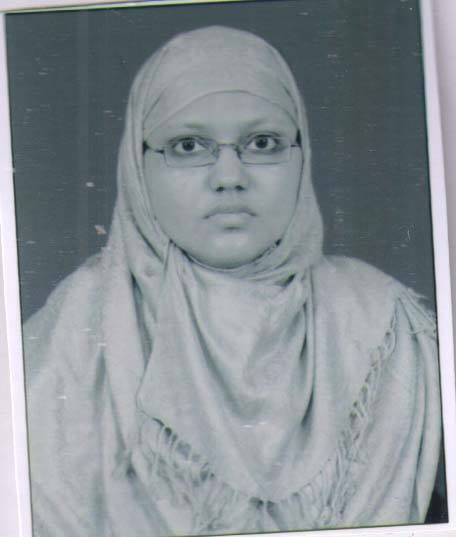 She is currently interning at For the Sake of Argument.She is passionate about books and loves to read case laws in her free time.